You could be up to €91 worse off if you exchange £500 using an uncompetitive travel money provider, according to new Which? research. We checked post-Brexit ‘walk-up’ exchange rates at bureaux de change at 10 UK airports and exchange rates at 18 online foreign currency providers on three consecutive days in July 2016. Moneycorp at Bristol airport was offering the lowest rates, paying just €1 in exchange for £1 when we checked. It also offered the worst exchange rate on US dollars out of the providers we looked at. To get the best deal, we recommend using a competitive online provider. Online rates are typically much better than you’d be able to get if you went to a high street currency exchange without pre-ordering. When exchanging £500, we found you’d be able to get an extra €91 if you used a competitive online provider, compared to the walk-up rate at Bristol airport. 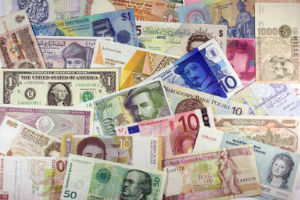 Best Foreign Exchange and Thomas Exchange offered the best rates out of the providers we looked at. However, if you want to collect your currency instore, bear in mind that these companies only have branches in central London. They also charge additional fees for postal delivery. We found John Lewis Foreign Currency also offered competitive exchange rates, and it’s possible to ‘click and collect’ for free from John Lewis or Waitrose stores. euros for £500 US dollars for £500 Delivery charges for home delivery for £500 currency Click and collect available? Table notes: Based on rates for exchanging euros and US dollars gathered on three consecutive days in July 2016. Figures are based on the average rate. Delivery charges may vary for different currency amounts. We gathered rates from 18 providers; the top 10 are displayed here. Never just buy foreign currency when you get to the airport. At least pre-order your travel money and collect it when you get there – this will guarantee a much better rate. For example, if you were travelling from Newcastle airport on the dates we checked, you would have been able to get an extra €60 and an extra $68 when exchanging £500 by pre-ordering online from Travelex. With Travelex, you can often do this up to four hours before you arrive at the airport (on a range of currencies). Moneycorp recommends ordering 24 hours in advance. With ICE, you can instantly order a ‘voucher’ to present in-branch. Table notes: Based on rates for exchanging Euros and US Dollars gathered on three consecutive days in July 2016. It’s also worth considering using a competitive credit or debit card to spend money overseas. Pick a card that has no charges for overseas transactions or overseas ATM withdrawals. A competitive prepaid currency card such as Revolut could also be a good option to consider if you regularly travel abroad. Foreign exchange rates plummeted following the UK’s decision to leave the EU and are yet to recover.